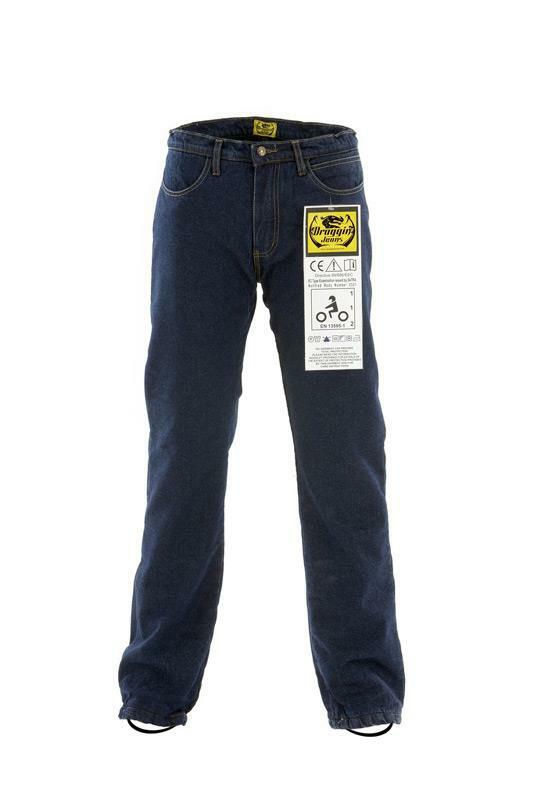 Draggin's C-Evo jeans - the first in the world to receive full CE approval - are now available in the UK. They're lined throughout with abrasion resistant knitted Kevlar and reinforced with Dyneema. They survived abrasion testing in key contact areas for 4.4 seconds, claimed to be more than twice the duration of most other Denim/Kevlar products on the market. Seams that are triple stitched with furniture grade thread, and then cross stitched for extra confidence, survived the burst tests. With CE-approved impact protectors at hips and knees too, the C-Evo jeans are claimed by the makers to offer serious levels of protection. They are tested and approved to the same standard as Dainese's new Laguna Seca leather suit! The jeans are available in sizes 28-44in waist and ladies sizes 6-18, and cost £259.99.